← Run for the Arts Pledges Due Wednesday, October 28th! Remember SW Charter When You Shop Freddie’s or Amazon! Do you shop at Fred Meyer or online at Amazon.com? Here’s some easy ways you can fundraise for SW Charter while doing your regular shopping! Last year, we earned about $1600 as part of Fred Meyer’s Community Rewards program. That’s money for our school without having to ask friends and family to purchase anything from you! Do you shop at Freddy’s and already have a Rewards Card with them? If so, please sign-up! Link your Fred Meyer rewards card by signing up here: http://www.fredmeyer.com/communityrewards. Search for us by our name or by our non-profit number 83935. Every time you shop & use your Rewards Card, you are helping SW Charter School earn donations. That’s it! It’s easy and you’ll still be earning your rewards points, fuel points, and rebates just like you do today! Now that you’ve linked your Rewards Card to Fred Meyer’s Community Rewards Program, you can participate in another simple and painless fundraising program. Did you know that you can help our school earn money while doing your regular online shopping at Amazon? It’s called Amazon Smile. 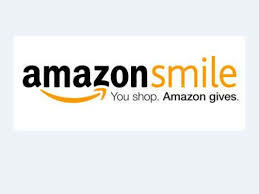 Just link your Amazon account and every purchase through smile.amazon.com will earn our school 0.5%. We hope you’ll consider signing up for both of these great programs. Give a gift to SW Charter while shopping for your friends and family! This entry was posted in Fundraising and tagged amazon smile, fred meyer community rewards. Bookmark the permalink.